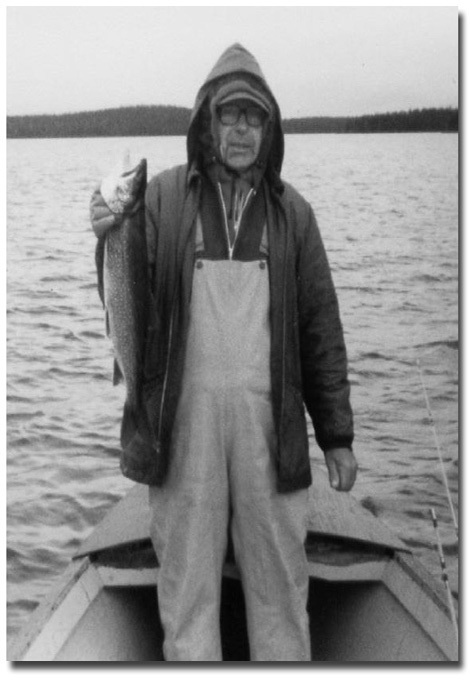 source of delight and an act of small rebellion…"
I realized a year ago while preparing this book that in 10 years, given the average age of the Master Anglers I had selected, that this book would be a book of posthumous anglers. 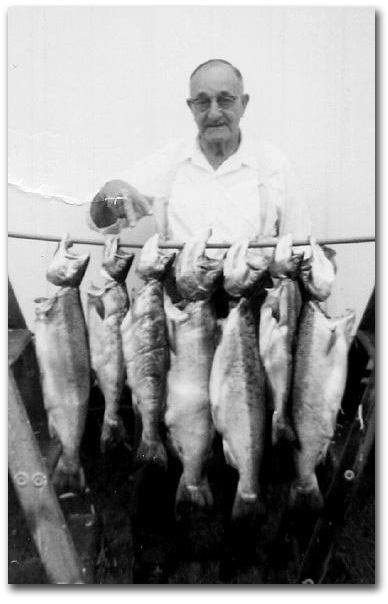 For that reason, I began to search for several young Master Anglers who had achieved a measure of angling fame very early in their lives in order to give this book more longevity after many of us older anglers have passed on. I chose two, both of whom already had excellent reputations as young guides on Lake Winni in New Hampshire. The youngest one is Travis Williams at 31 years and the other is Jason Parent at age 33. Jason has only been fishing and using a down rigger on Lake Winni in New Hampshire for 24 years (since he was 10), but he has been angling since he could walk. I first heard about Jason Parent from another angler, who told me that this young Lake Winni guide was a highly successful with a down rigger, but somewhat unconventional angler. After meeting Jason and getting to know him, I found him to be a creative fisherman, who is willing to experiment beyond using a down rigger and try new things. He also fishes the Great Lakes for trout and salmon and has brought some lessons here from that experience. 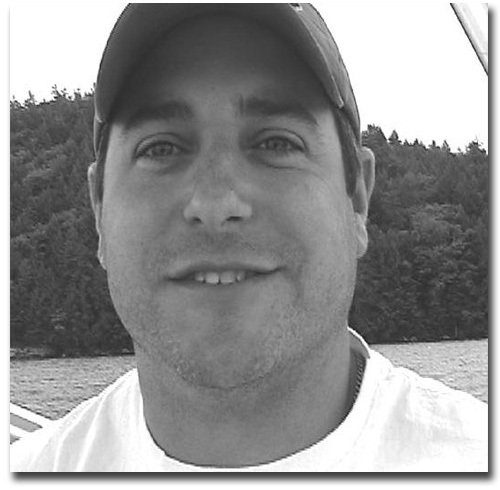 For example, Jason observed while fishing in the clear waters of the Great Lakes that by standing on the bow of the boat in 30 feet of water, one can see hundreds of Browns, salmon, and trout scattering off to the side as the boat trolls slowly through the water. By trolling just behind the boat, one's lures do not intersect the path of these fish which are 10-20 feet off to the side of the boat's path. So Jason became a believer of getting your lures out away from the boat by using side planers or outriggers of one kind or another, rather than just a down rigger which, he believes, results in significantly more hits. He often uses a Dipsy Diver attached to his line to get the lures out to the side. He has also invented his own "Jigging Machine" -- which uses a sealed electric motor mounted in a metal box to which your line, attached to a release device, will jig with back and forth action needed to give the lure the enticing action which stimulates fish to strike. I have one mounted to my boat, which is illustrated in this photo. Jason will custom make these for anglers for just over $200. My first year of using one of Jason's "Jigging Machines" resulted in many more strikes on my fly lines and lead core than previously with only a down rigger, even without Bean Counter's empirical data being gathered! Of course, one can work the fly him or herself manually, and then still get the thrill of the strike in hand! But you cannot work two at the same time…unless you have a Jigging Machine. I now use one and swear by them! 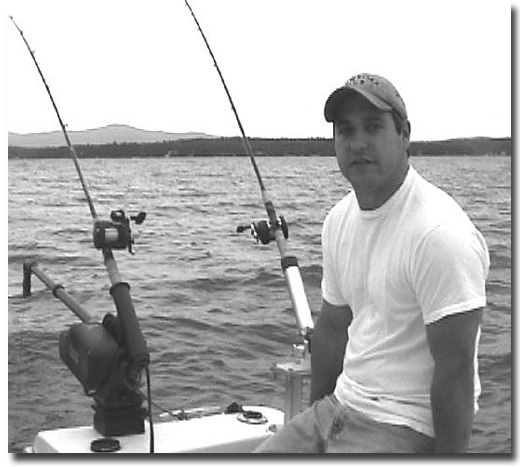 And if you want a young energetic perspective on angling and an interesting day of trolling using his jigging machine or just a down rigger on Lake Winni in New Hampshire, give Jason a call to book a trip with him! I'm a 33-year-old dedicated angler from the northern reaches of New Hampshire. I am married with two small children and I owe all my successes as a man to my beautiful wife of 8 years, Kari. We moved to Belmont, New Hampshire in 1996 and built a home in 2000. Our first son was born in August of 2000 and his name is Harrison Hunter Parent. Our second son arrived in February of 2002 and his name is Hayden Fischer Parent. I'm sure they will both be anglers! I have been fishing since I was old enough to walk, and can never seem to get enough ice fishing, brook fishing, fly fishing, or slow trolling on one of New Hampshire's beautiful lakes. I just take it all in whenever possible. My deepest passions are embedded in New Hampshire's largest lake, which holds a bounty of wonderful fish. 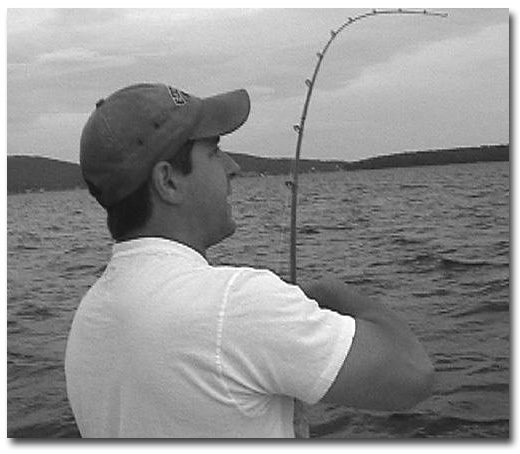 I have fished Lake Winnipesaukee for 24 years and learn more and more on each endeavor. Over the years I have accumulated a large resume of fishing lakes and ponds throughout New England and every year I try to add a new lake or pond to the list of accomplishments. If the lake has trout or salmon, chances are I have fished there; sometimes I do well but other times I just have to keep going back until I catch the drift. Born in Berlin, New Hampshire, in 1973, I was quick to learn that a small city boy out in the country needed some hobbies to keep himself occupied. 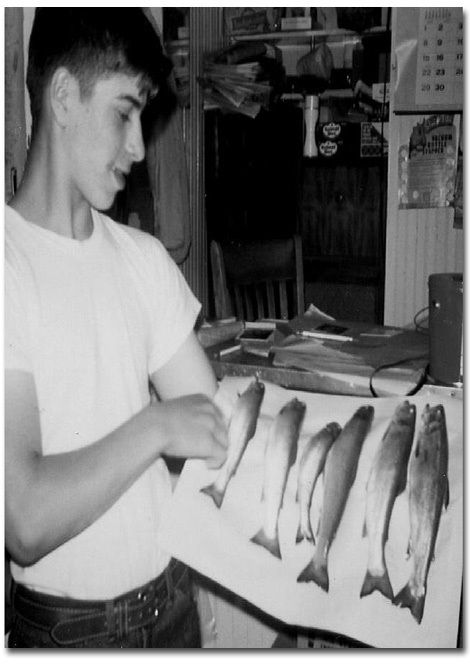 Thanks to my father, David Parent, and grandfather I did not have to look very far, as fishing and hunting were the popular choices among the Parent family men. I quickly learned that a worm and hook could bring a reward bounty of tasty brook trout and that a fly could tempt even the weariest of brown trout. When I turned 16 years old my first truck was a Chevy S10, and in the back were always a 12-foot aluminum boat and a 7.5 Sears Gamefisher motor. My tackle collection started at a young age, and it was not an unfamiliar sight in the North Country of New Hampshire to see me toting my boat by hand down to the river or to a back woods pond such as Big Greenough Pond. As time went by, my appetite for bigger lakes grew and many a weekend I spent coming down to Belmont visiting my grandparents while sneaking out for early morning trolling on Winnipesaukee. The fishing was not as good back then as it is now. The fish were small and skinny and the action was often slow, but the anticipation of a 7-pound salmon or a 12-pound lake trout always lurked in the back of my mind. Today, I am a fishing guide on Winnipesaukee in New Hampshire and many of the other area lakes, as well as the new owner of the Paugus Bay Sporting Goods shop. I owe all my good fortune and skills to my family and my ambition to be successful as a father, husband, and fisherman. I've been fishing in Lake Winni for 16 Years beginning when I was 16. I learned much myself through conversations with other anglers and trial and error. I am a self-taught lake fisherman and owe all my skills as an angler to determination and ambition, and of course my wife, who lets me go fishing on the weekends. 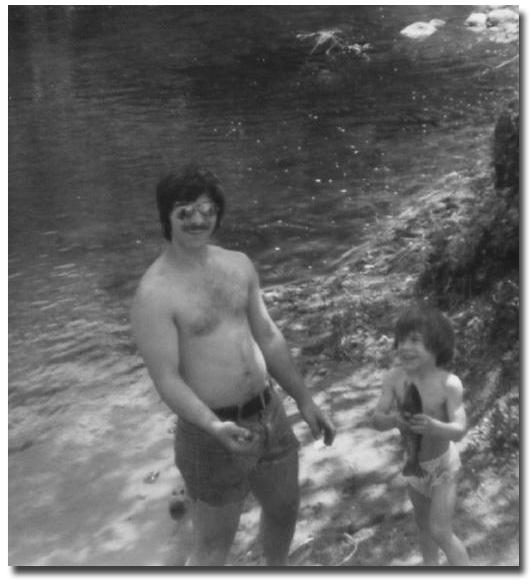 My fishing mentor and hero is also my fishing partner, my father. He has been there as my mentor and I, as his student, have been there for him. We fish together whenever possible and learn from each other whenever we can. He is not only my father, but he is also one of my best friends. I learned a lot of things not to do, from my father. His methods sometimes seem out of touch, but often they prove more productive than I would have guessed. He is a master brook trout fisherman and he has shown me some of the most beautiful beaver dams and waterfalls in the North Country of New Hampshire. My favorite Lake Winni game fish? My favorite Winni game fish is the landlocked salmon for many reasons. Pound for pound, this fish fights its heart out every time he is in the precarious position of being hooked with a down rigger. Jumping and diving while displaying such antics as running the boat or playing dead make the salmon a worthy advisory during every trip. Which do I prefer, leadcore, fly rod, or down rigger fishing for salmon and trout? I enjoy planer board fishing with light line in the spring for salmon rather than a down rigger, as it always seems productive. Planer boards are a floating device attached to a boom in the boat to take my lines about 10 yards out to the sides of my boat. There is a release device on the board which sets the hook and releases the line when a fish hits. This set-up overcomes the problem in spring, when salmon are high up, off the boat spooking the fish directly behind or inline with the boat. The lures out to the side, following the planer boards, pass through the water to the boat's flanks where the fish have not been frightened by the boat. Lead core is the most productive way I have found to catch lake trout but a good down rigger bounced off the bottom creates an aggressive hit many times as well. My favorite fishing months in New Hampshire? May and June, at dawn and dusk or on cloudy days. 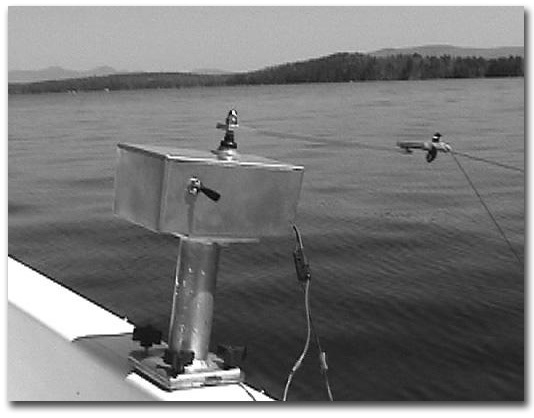 With GPS in spring for Salmon: 2.2-2.4 MPH; summer lakers or salmon 1.7 to 1.9 This depends on lures and presentation. May On Top 4-10 ft.
DB Smelt/Smelt Rig On Top 5-20 ft.
Copper Wobblers On Top 5-15 ft.
DB Smelt/Smelt Rig 40-70 ft.
Ice Fishing I love to jig through the ice with my automatic jigging machine called "Jig-by-J." I use bucktail jigs, green and yellow or red and white and I usually set the machines over 15-35 ft. of water on a drop off. My largest salmon, laker, rainbow? Depth: 60 ft.; 40 ft. Stories about these monsters with a down rigger? The 7.25-pound salmon was a difficult fish to land, but we were well equipped and had just returned from our yearly excursion to Lake Ontario. The fish hit on a down rigger I had just popped to check the bait. Often times when we bounce over a shelf or drop the down rigger balls off bottom, the baits will get messed up. Usually, I release the rod from the down rigger and put it back in the rod holder and let it ride up nice and slow. Often you will get a strike after about 5-10 seconds. This fish hit and instantly broke water right in the prop wash. I knew right away it was a big fish and set the hook with a quick snap of the wrist. The fight was on. The fish took line to the port side of the boat and ran up along side the boat and then doubled back toward the down rigger cable. This taught me a lesson. Get those cables up out of the water when you have a monster on! Luckily I was able to use my 8 1/2-foot rod to steer the fish around the down rigger cable and away from the motor. After a short fight and a couple of quick runs the fight was over and the fish was in the net. I am strictly catch and release unless someone really wants their fish, so that beauty was weighed and set free to grow and break lines in the future. Passing on to others my angling skills? I have spent many of hours on the boat teaching my brother tricks and tactics to catch more fish with a down rigger and there is no doubt in my mind that he will someday soon teach me the meaning of monster fish. He recently landed a 14.5-pound steelhead on Lake Ontario and took 9th place in the Lake Ontario derby steelhead division. He is a true up and coming angler who is also now a licensed guide. I look forward to teaching my sons to fish using a down rigger, planer boards and other fishing methods. My wife is already an excellent outdoorswoman. My top 5 tips for salmon? Lure Presentation. Make sure your speed is appropriate for your bait. Water Temperature. Watch it, know it (55 degrees is best for salmon), and know what it is at different depths. 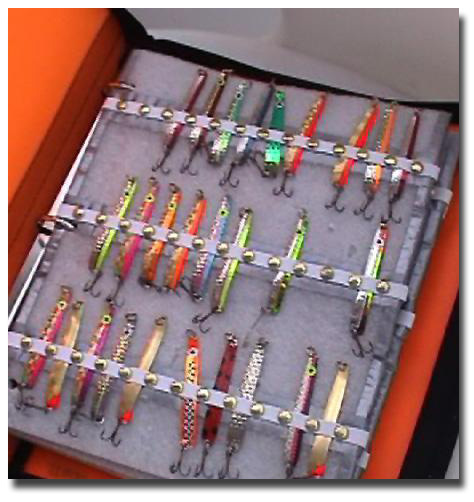 Use 4-6 lb test leaders lines and have good down rigger equipment. Listen to other anglers on the radio, share information, and keep a log of your endeavors. My top 5 tips for lakers? My top 5 tips for rainbows? Quick speed with streamers on jigging machines or a down rigger, especially in spring. Use small bait. Rainbows have the smallest mouths in the trout family. Slow the baits down with warm weather. Use small flies or spinners. Fish around inlets or outlets to find moving water or current. Ice fishing: stay shallow on sandy bottom with small baits. My top 5 ice fishing tips in New Hampshire? Jig and when you get tired, jig some more with cut bait on a bucktail jig. Stay shallow with small baits for rainbows. Use your knowledge of summer shelves and ledges in the winter. Catch and release. Many lake trout get killed during ice fishing. Use a variety of baits - shiners, smelt, suckers and/or jigs. I do practice catch and release all year round except during the Derby. I wish more people would educate themselves on catch and release and put back more fish. What do I think has happened to the Lake Winni yellow perch? I think they have become bait to larger feeding salmon and lake trout. As fish grow in overall size, the fish they eat also grow. Young perch are a tasty morsel for a hungry salmon. What do I think has happened to the Lake Winni White Fish ("shad")? Not sure, but I would guess an increase in other feeding fish has limited the amount of feed available and possibly the shad's feeding patterns were disrupted and they have suffered. If I were NH Fish and Game Commissioner, what initiatives would I take to improve Lake Winni angling? I would increase the legal length limit and institute a slot limit to save the breeding fishing. Several years back, I was fishing in the Winni Derby. I was about 18 at the time. My brother, Dustin, was 8 years old, and my girlfriend then, who is now my wife, was 16. I talked them into joining me for a day on Lake Winni. It was Saturday morning, and as usual the weather was not very good, but I had spent two days prior working on my 12-foot aluminum boat, just for that reason. I had cut two broom handles about 4 feet long and secured them in the oarlocks. I then improvised a make shift canopy for my boat out of an old piece of canvas tarp. With lots of rope and tie downs, I managed to make a pretty nice cuddy cabin for my brother and girlfriend. I knew with the bad weather that our trip to Alton Bay would be cut short, if they could not stay warm. I taped off all the edges with duct tape and painted a big fish head on the front with large teeth. Then I painted a large fin on either side of the boat, and wrote a phrase on either side "It was this big!" We fished all day, or should I say, they slept all day, and I fished in the cold rain with two portable cannon mini-troll down rigger and two leadcore lines. I never got a bite that day but I got more thumbs up from other anglers then ever before, and still to this day, my boat, now a 21 foot Proline, has never received so much attention. Favorite recipes for cooking various Lake Winni fish? Take a nice lake trout. Remove the guts of the fish. Then purchase 3 pounds of native shrimp and 1 pound of butter. Get yourself 1 box of seafood stuffing and a turkey sewing needle and thread. Stuff your lake trout with shrimp, 3 sticks of real butter and seafood stuffing. Then sew the fish closed. Wrap it in about 10 layers of tin foil and bury it in a bed of deep coals from fire. Leave the fish there for about 2 hours then remove carefully. Unwrap the fish and you have a meal fit for 10 kings. Am I concerned about mercury levels in Lake Winni fish to the degree that I restrict my fish intake? I rarely keep fish from the lake, thus I don't have any concern regarding mercury levels.